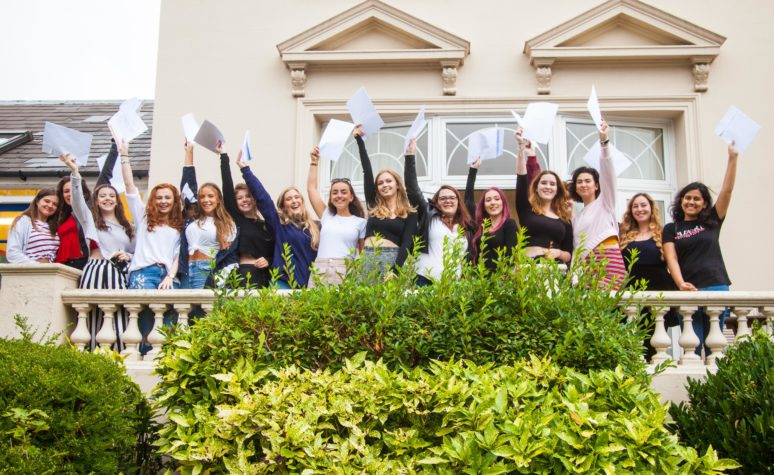 A Level Results Day – we are so immensely proud of what the girls have achieved. The girls are celebrating this morning after another excellent set of A Level results. 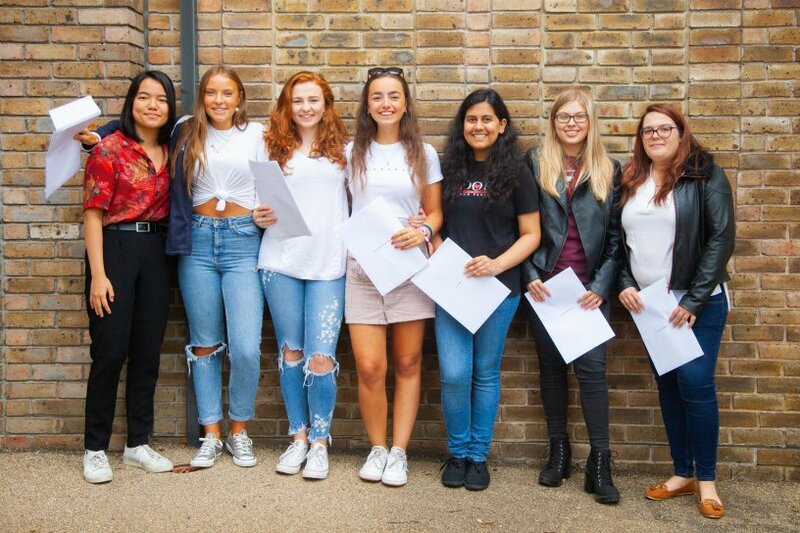 Maintaining an unbroken 100% pass rate, an impressive 57% of all grades were A*/A and well over half the girls gained A*-B grades in three or more subjects. Deputy Head Girl Eleanor Reffin, a student at Burgess Hill Girls since Year 4, gained four A* grades and takes up her place to read Medicine at Emmanuel College, Cambridge. Eleanor was an exceptionally gifted all-rounder, an integral member of the choirs, orchestra and Glee club. She dropped just one mark in her Mathematics A level, which is an outstanding achievement. Ruby Eastwood’s straight A* grades in English Literature, Classical Civilisation and Spanish secure her place at Christchurch College, Oxford to read English Language and Literature. Alexandra Ross who, like Ruby, joined Burgess Hill Girls in the Sixth Form, gained three A* grades in History, French and Classical Civilisation together with studying Italian, and takes up a place to read Politics at the University of Warwick. More than half the year group took at least one STEM subject and a high proportion of the cohort have won university places on STEM courses. Particular successes include Elizabeth Geraghty, who will read Medicine at the University of Sheffield after gaining three A* grades in Mathematics, Chemistry and Biology. Elizabeth also gained an A for her EPQ on the extent to which alcoholism is hereditary, was awarded a Bronze Certificate in the Royal Society of Chemistry’s 50th Olympiad and a Distinction in her Grade 8 Speech and Drama. Megan Mao’s straight A*/A grades in Mathematics, Further Mathematics, Physics and Economics, means she will go on to read Mathematics at University College London. Anna Morgan takes up her place at the University of Bristol to read Dentistry after A grades in Mathematics, Chemistry and Biology. Apoorva Singh and Johanna Swirski’s excellent grades meant they will both go on to read Computer Science, at Sheffield and Liverpool respectively. Zoe Webber’s top grades won her a place to read Aerospace Engineering at Queen Mary, University of London. Tatra Blewett-Mundy’s three A*/A grades in English Literature, History and Religious Studies secure her place at Edinburgh to read History. Tatra’s application was strengthened by her extensive technical theatre and design experience having stage managed several shows in her final year, her charities and outreach work and an EPQ comparing the French and American revolutions. Rosie Pedersen’s straight A*/A grades in English Literature, Geography and Biology together with an EPQ on the effectiveness of restorative justice, mean she takes up her place to read Geography at the University of Manchester. Katherine Finnerty’s straight A grades in Geography, Biology and PE, and her EPQ on finding the perfect horse for eventing, have secured her place at the University of York to read Environmental Geography. Ella Filskow gained straight A*/A grades in Art, Biology and Mathematics. Combined with her EPQ on altruism this has secured her place at University of Liverpool to read Evolutionary Anthropology, one of the best courses in its field.